Rev. Mark F. Sturgess is the son of Presbyterian preacher, raised in the small church tradition of rural Missouri. Mark graduated from Northwestern University, Evanston, IL, where he received Bachelor degrees in Computer Studies (B.A.) and Pipe Organ Performance (B.M.). At Northwestern, Mark specialized in 19th and early 20th century French organ repertoire and period keyboard technique of the Baroque era. Mark has appeared in recital at the RLDS Auditorium, Independence Missouri, Rockefeller Chapel, University of Chicago, Christ Church Cathedral of St. Louis, and for the mid-Missouri chapter of the American Guild of Organists. Mark is a singer -- bass baritone -- and has been a devoted member of the Camerata Singers of Long Beach for over a decade. After graduating Northwestern in 1991, Mark was hired by a Chicago based consulting firm and was promptly transferred to Southern California. Mark’s first career was in database design and systems analysis for major manufacturing companies. In 2002, Mark was ordained in the Presbyterian Church (USA) and in June 2014 was admitted as a full Elder in California-Pacific Annual Conference of The United Methodist Church. Rev. Sturgess served as associate pastor of First United Methodist Church of Torrance, CA for six years, and as Sr. Pastor of Riviera United Methodist Church of Redondo Beach, CA since July 2008. 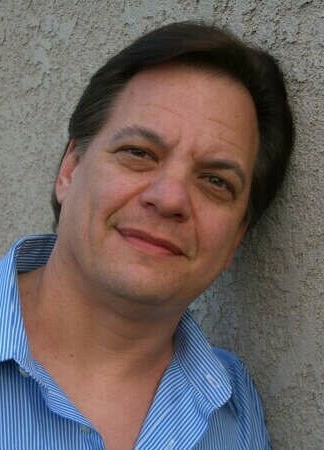 Mark's gifts and passions for ministry include preaching, teaching and worship; coaching congregations to spiritual vitality and wholeness; advocacy for the full inclusion of all in the life of the church; post-modern biblical interpretation; and advocacy for full inclusion of LGBT Christians in the life of the church. of a good cup of coffee, yoga, baking, and is always up for an adventure! his M.A. in musicology from Cal State Long Beach. Maribel was born in Mexico City and raised in Southern California. She attended Citrus College and is fluent in Spanish, both verbal and written. She was a recreational leader at St. Frances Catholic school in Azusa, CA. She has also been involved in her community as a liaison between parents and schools and linked families to benefits and resources. While working for Pacific Clinics, she managed cases for mentally-ill adults and helped with their reaching independence by gaining education and job placement. Bell and Children’s choir Directors. Hamburg, and the Hill organ at the Sydney Town Hall in Australia. CD with Arkay Records, Sunday Masterworks, available at Amazon. accompanist at Cerritos College, and at Rio Hondo College in Whittier. Pasadena Symphony, at Knott’s Berry Farm, and at the San Diego Zoo. three dogs, a good book, sewing, crochet, and most things Disney. Emilio was born and raised in Southern California. His faith journey has included 11 years at a Lutheran school, 4 years at a Catholic school, international Nondenominational Christian missionary work, and involvement with the United Methodist church for the past 5 years. He completed his Bachelor of Arts in Music from CSULB with a primary emphasis on voice and a secondary emphasis on cultural anthropology. Emilio has been playing in and leading bands for the past 12 years as a guitarist and vocalist in styles ranging from jazz to classical, and pop to blues. Outside of Los Altos UMC, his work includes recording, performing, and teaching locally. When not working, he most enjoys outdoor activities like camping and hiking. Wendy has served as the preschool director at Los Altos UMC since 2008. She has 36 ECE units, a Certificate in ECE and nine Adult Administration units. She spent six years teaching ages 1-4, two years as a private nanny, one year as a Kindergarten teacher, and one and a half years as an Assistant Director. Wendy has an amazing mom and dad; and three brothers that she enjoys spending time with! She was born and raised in this great city of Long Beach. She enjoys watching movies, traveling the world, creating new ideas, organizing things and taking pictures! "WE ARE CALLED TO TRANSFORM THE WORLD BY SHARING THE GOOD NEWS, GROWING IN THE IMAGE OF CHRIST, WORSHIPPING JOYFULLY AND MANIFESTING GOD'S LOVE TOWARD ONE ANOTHER AND TO THE WORLD."